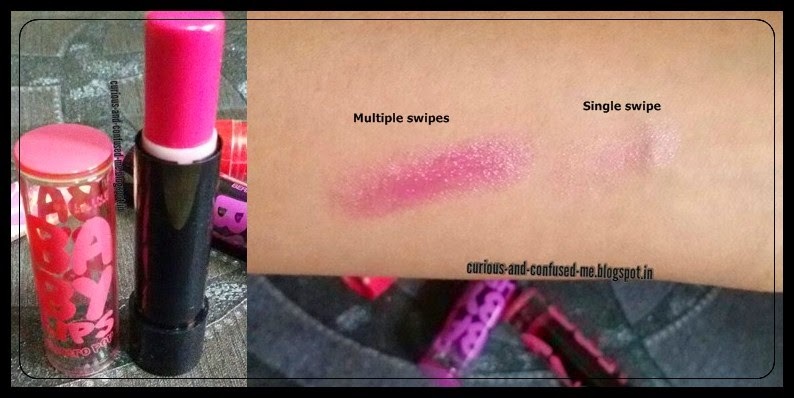 Posted on December 20, 2014 by Swathi Bhat wrote in Affordable, Baby lips, Lipbalm, Lips, Maybelline, under 300. It has 0 Comment. Though I did not have a heart to open this Electro pop in Pink Shock, I was in a need of pink tinted lip balm during my visit to Bangalore last weekend. Since I knew that I will not be getting time for touch up and only a pink tinted lip-balm will be able to save the day. This indeed was the Hero of the day, gave me enough moisturization and shiny looking pink lips. – Last week my lips were a little more dry than the usual, now they don’t go into SOS mode anymore. -Moisturization by this lip-balm lasted for 4 hours. An hour more than Berry Bomb. – Once the lip-balm is faded, my lips continued to be moisturised for another hour. Texture wise it’s watery, different than the old version. Old version has waxy texture. Packaging wise, cuteness overloaded. I am totally sold for this. I have lusted over the packaging for so long. Smells Yum!! Has a pink tint. It’s pigmented them of all. My Mum has peachy lips and this alone is enough to give a pop of color. Even on my pigmented lips, the color shows up well. Plus it stains. The only con would be, there is no SPF. Yeah, you heard it right no SPF!!. Will I recommend: Run and buy one. Its lip-balm and you need this in your life ;). These Baby lips in Hip packaging are not only cute but they work too. But Maybelline had to make this imperfect by not adding SPF. 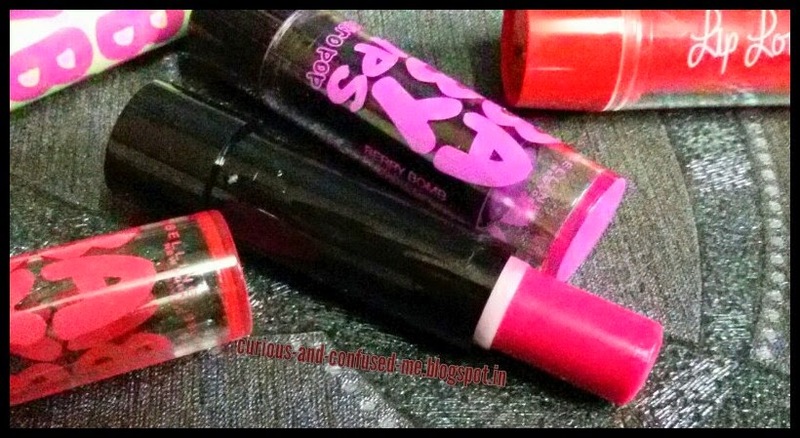 I am testing the new Lakme Lip Love Lip Care in Cherry variant and they have SPF 15. I’ll buy other variants of these Lip Love care, if it fares well. Just thinking, may be Maybelline do not want the old version of baby lips to be forgotten, that’s why they did not add SPF to these cuties, umm may be. Who know ;). Saying all this, I still recommend you all to try one. It’s affordable and does its job. Every girl needs pretty things, which works too 😛 . For a good kick of Black color : Lotus Herbals Colorkick Kajal	Lakme Lip Love Lip Care In Cherry : Simple lipbalm with the fancy name ?